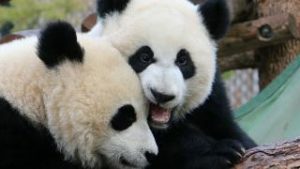 If you’re planning to check out ILLUMINASIA Lantern & Garden Festival presented by Sinopec Canada during the next few weeks, we’ve got you covered. The third country to be highlighted during the festival is India! Not only are the vibrant lanterns still on grounds to visit, but the diverse culture of India is celebrated through food, dance, and a variety of unique activites. We’ve created a snapshot of a nightly visit during the India weeks from October 15-25 to make sure you don’t miss a thing! ILLUMINASIA starts at 7 p.m. When you arrive, you’ll be strolling through the incredible handcrafted Chinese lanterns that are the star attraction of the festival. Did you know there are 366 of them!? As you pass the dolphin lanterns on the bridge, you will turn right and make your way toward the ENMAX Conservatory. In the ENMAX Conservatory, find displays and demonstrations that represent India’s art, cultural history and practices. Traditional Indian Clothing Display – dress up in traditional Indian clothing and take photos with family and friends. Musical Instrument Display – listen to beautiful traditional Indian music and learn how to play these intricate instruments. Block Printing and Dyes – become a master in this art form and learn all about the history of block printing and dyes. Indian Floral Display – become inspired by these beautiful Indian floral arrangements. Free to all guests, these programs can be enjoyed from 7:30 – 9:45 p.m. Thursday – Saturday, and 6:30 – 8:45 p.m. on Sundays. While you’re in the Conservatory, it’s easy to stop for a mini garden tour! Take 20 minutes of your night to learn about the plants of India from our brilliant botanical staff. Quick and fascinating! These tours are free with admission. Tours run on Thursdays through Sundays: October 15 – 18, October 22 – 25 from 7:30, 8:30 and 9 p.m.
Now that you’ve had a taste of the beauty of India, find a piece all your own to take home with you. Wander through the lanterns to the Eurasian Gateway BBQ tent, and find a variety of small drop in programs- there’s something for everyone! Block Print a Scarf – Rajasthan, India is famous for block printed fabrics using formerly vegetable and natural dyes, and intricately hand-carved wooden blocks to create the shapes. We will have the dyes, blocks and fabric ready for you for you to create your own beautiful block print scarf. $10. Learn more. Adorn a Metal & Bead Bracelet or Anklet – Create an Indian bracelet or anklet for yourself or a beautiful handmade gift that celebrates the ancient jewellery of India. $10. Learn more. Henna Hand Tattoo Art – Henna refers to a dye which is prepared from a plant, and the talent of temporarily staining parts of the body to create beautiful art. Henna has been used to dye skin, hair and fingernails, as well as fabrics such as silk, wool and leather. Choose from a number of designs for beautiful henna creations on your hands. $10. Learn more. Applique a Patch – Learn the techniques and create a small applique patch that will start you on your way to creating a pillow or other home décor item made by your own two hands. Traditionally bright and inviting colours are used, so your creation likely sit anywhere in your home that needs a bright addition. $10. Learn more. Traditional Indian Family Photo – Two of the traditional pieces of clothing in India are beautiful silk saris for women and dhoti for men. Learn how to wear a sari and dhoti, with help from our photographer and team who will dress you and yours in traditional Indian clothing to take one of the most unique group photos you will ever have. Free. Learn more. Indian Zodiac: Learn your Indian Zodiac and What It Means About You – Learn all about the Indian Zodiac, find out what your zodiac sign is and what it means about you. The children can find out their sign too and colour their own zodiac to take home. Free. Learn more. Drop-in programs run from 7:30 – 9:45 p.m. Thursday. Saturday and 6:30 – 8:45 p.m. on Sundays. Sparq Productions will be performing on the mainstage behind Grazers! This local Bollywood dance company is thrilled to be showcasing their Professional and Performance teams at ILLUMINASIA. Led and choreographed by professional choreographers from the Bollywood Film Industry, Tania and Vishal Malpuria, Sparq’s dancers train in Bollywood dance from September through to May, and perform at a variety of venues and events throughout the year. Bollywood dancing is known for its energy, vibrant colours and crowd-pleasing music. Inspired by the latest films and music from India’s hottest performers, Sparq’s dancers will have you on the edge of your seats wanting to join in! 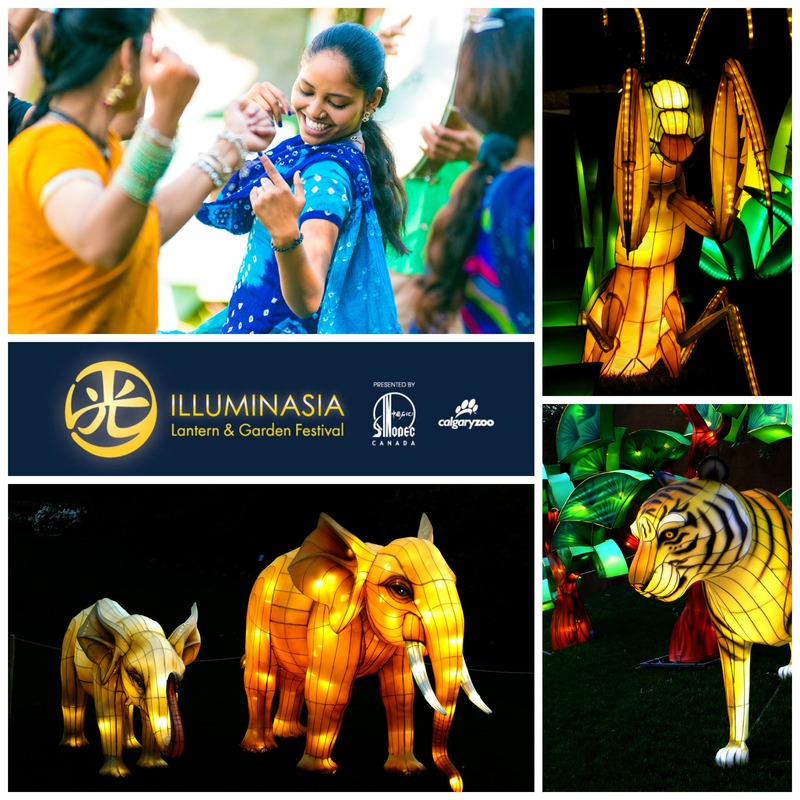 You see, ILLUMINASIA isn’t just a display of incredible 366 handmade Chinese lanterns, but it’s also a celebration of food, culture, art, gardens and fantastic entertainment! We hope this guide to the India weeks helps you plan your evening- so you don’t miss a thing. Feel free to mix up the order and create an ILLUMINASIA experience that is perfect for you.